Autumn , such a romantic season , particularly after filled with foliage . Right following a splendid summer ,the romantic autumn came , but seems to be about to go away soon .. Therefore , I decided to go out to catch this falling fall . 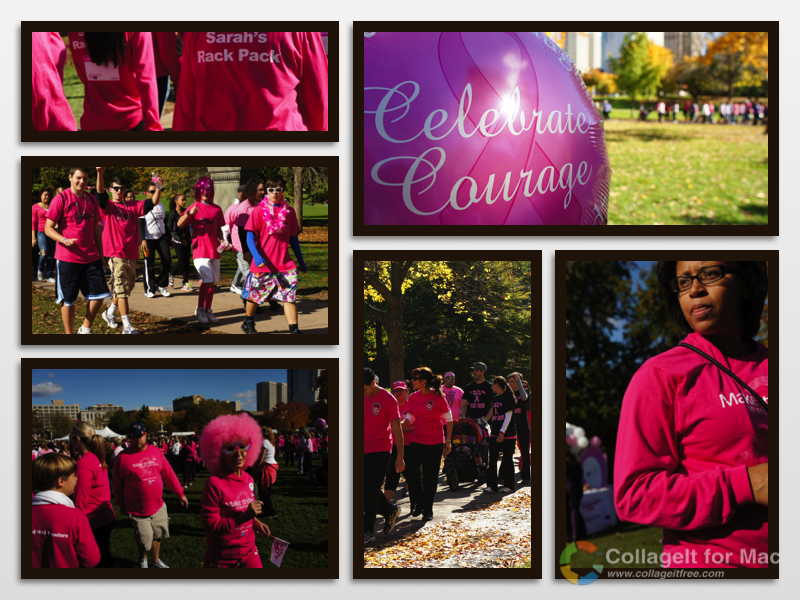 Before the freezing winter comes , many charitable origination still hold events .The event I took part in is about anti-cancer . Although I didn't donate any penny and just come to see pretty girls , my blog is supposed to be a good way to publicize this event ! There are a number of very old house in Wethersfield ,CT. This palace-like city hall is supposed to be the only landmark of this boring city ,Hartford . Here is the venue for the anti-cancer charity activity . Pink is the main color of this activity . The absolute majority of people coming with pink ! Even the Car is pink ! The dog...... ! it can't be helped ! Do you know what's the point of this pic !? Even the soldier in Star Wars came to support this event ! Let's have a competition ! Pay attention to the Jeidi 's facial expression . oh! Let's get back to the subject ---Falling fall !